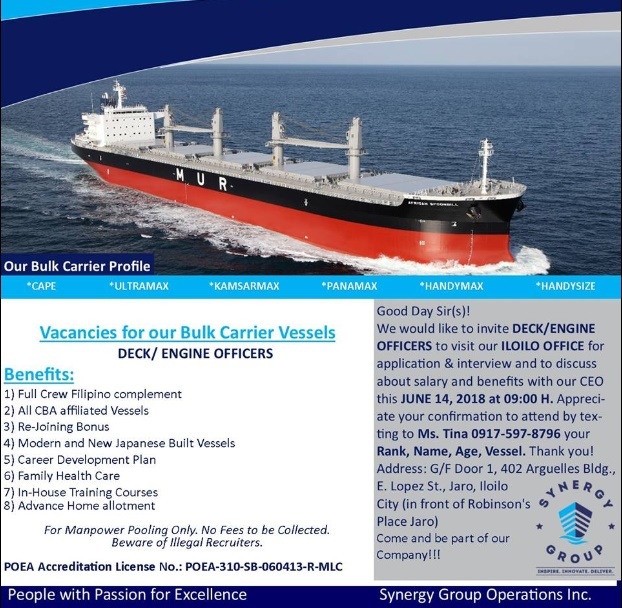 SEAMAN JOBS INFO - Synergy Group Operations Inc. 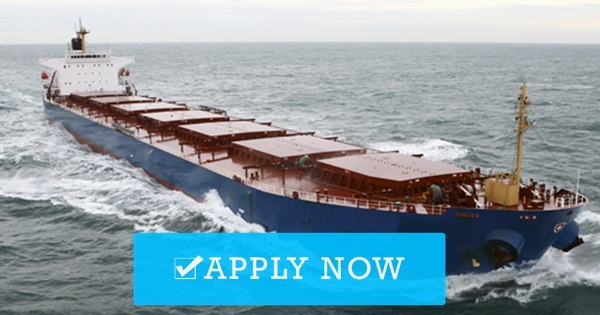 Hiring crew for bulk carrier rank deck and engine officers joining A.S.A.P. 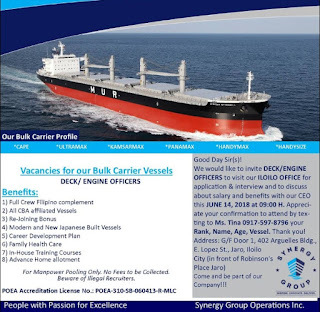 0 Response to "Seaman job hiring crew for bulk carrier ships"